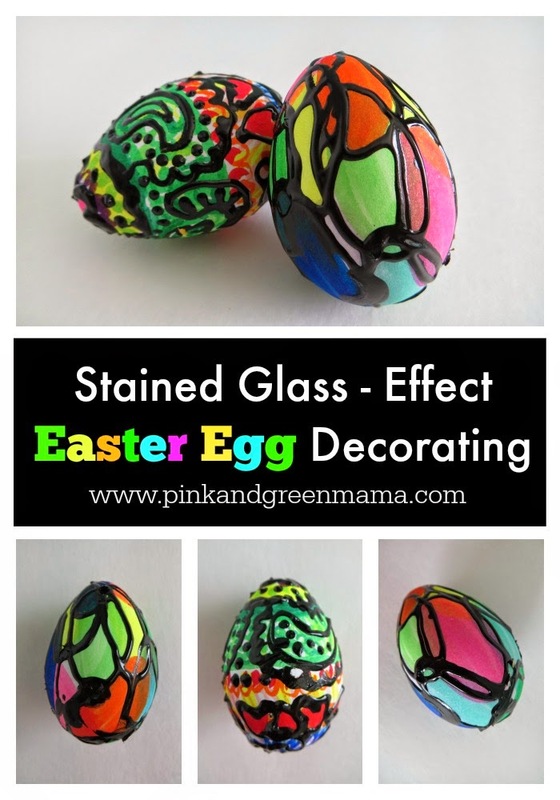 This year, we decided to get fancy with our (fake) Easter Egg decorating and we made our own stained-glass-effect Easter Eggs with markers and Tulip brand dimensional fabric paint. 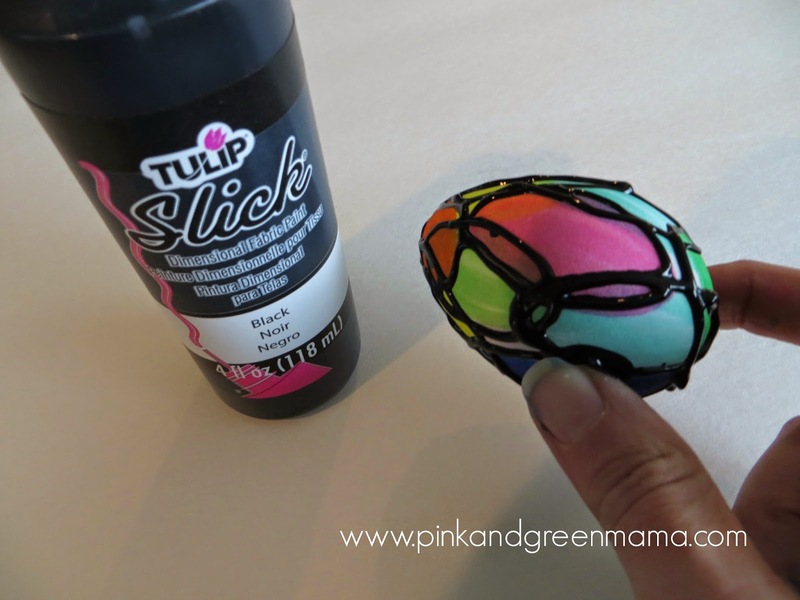 Note: This is not a sponsored post, I just really like to use Tulip brand dimensional fabric paint for 3-D and mixed media projects. 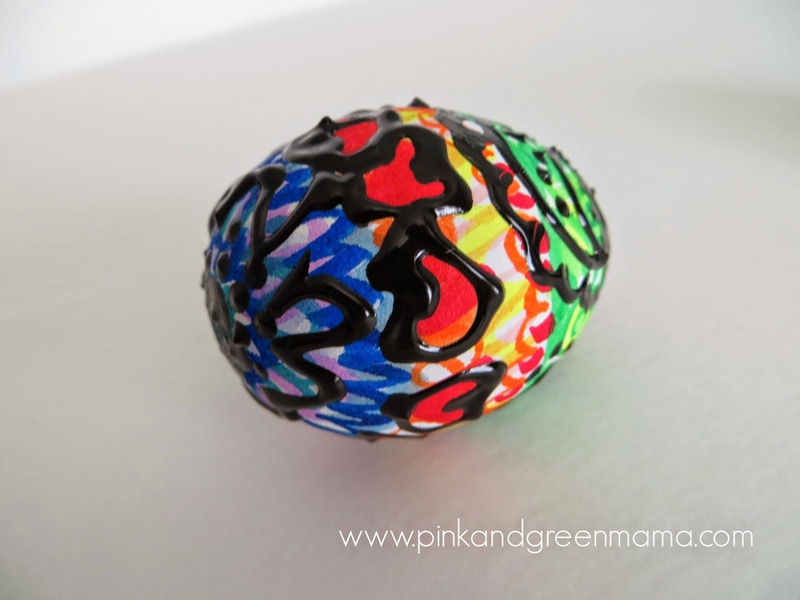 It has been my go-to "puffy" paint for this kind of stuff for years! I buy mine at Walmart but you can find it at any craft store in the t-shirt decorating and fabric paint area. 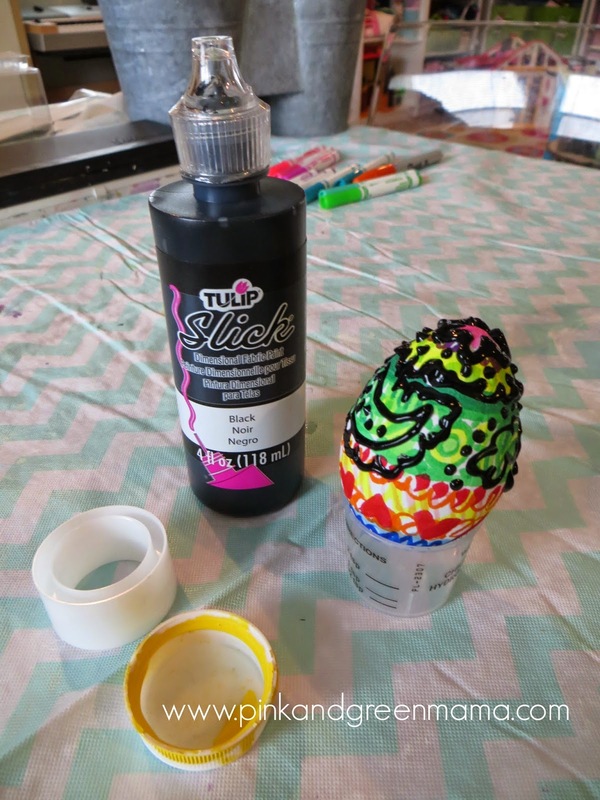 This egg decorating technique is easier to do with tweens, teenagers, and older kids because the puffy paint can get a bit messy and because you have to be patient enough to let each half of the egg dry before you paint the other side. 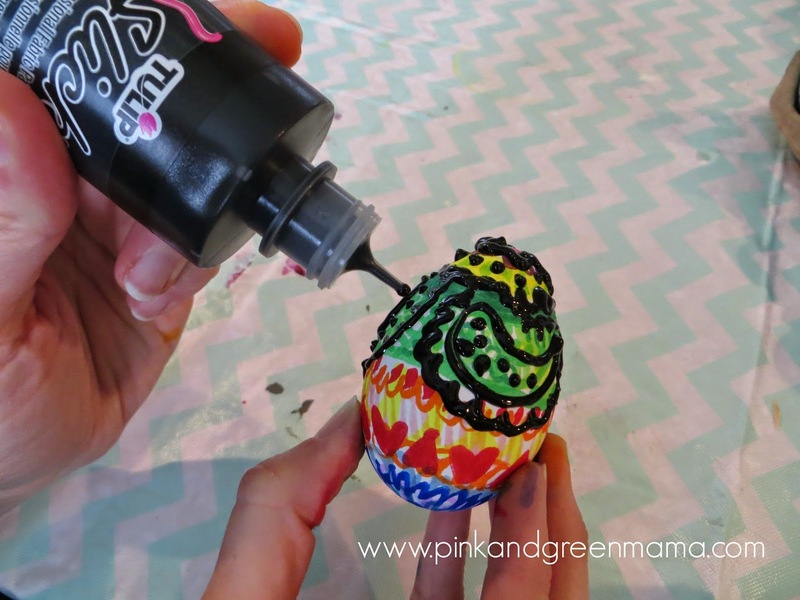 You could do the same type of project with younger children by using a black sharpie or fat marker to draw the black lines on the egg. For this project we used a couple of the fake Easter Eggs purchased at Walmart this year in their Easter aisle. The eggs come in a carton of a dozen for $2 and they are already primed white with a plaster-like surface that is really easy to draw and paint on. 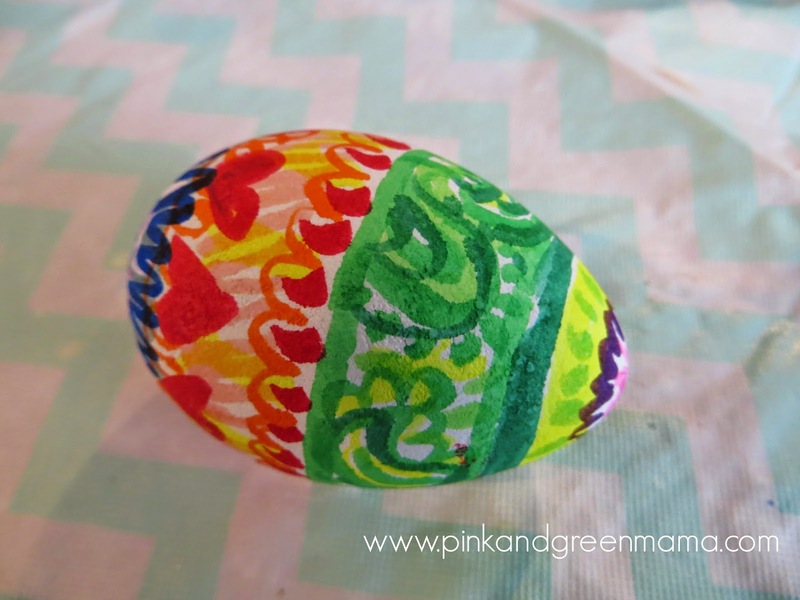 These ready to decorate eggs are super tween and kid-friendly, I love them! 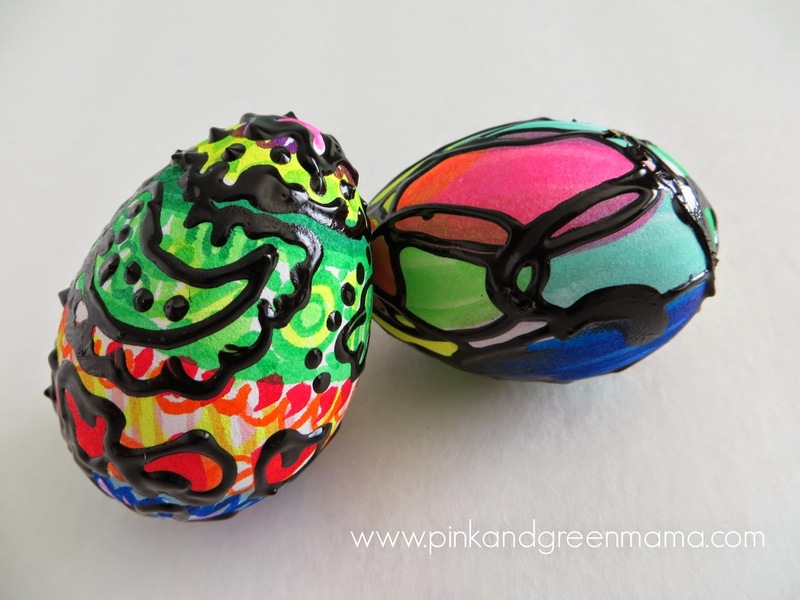 First, we started by coloring our Easter Eggs with markers. We used bold colors. 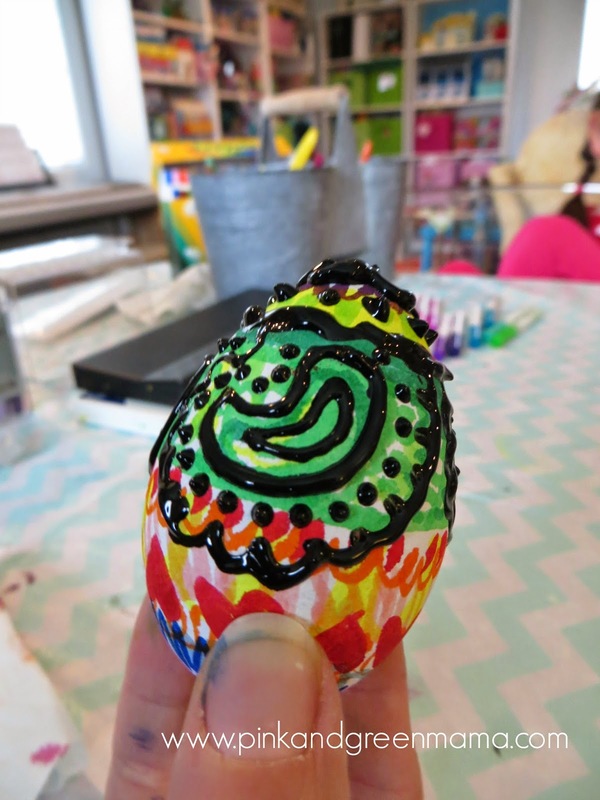 This egg had a more elaborate design, our other egg was covered in simple ovals. 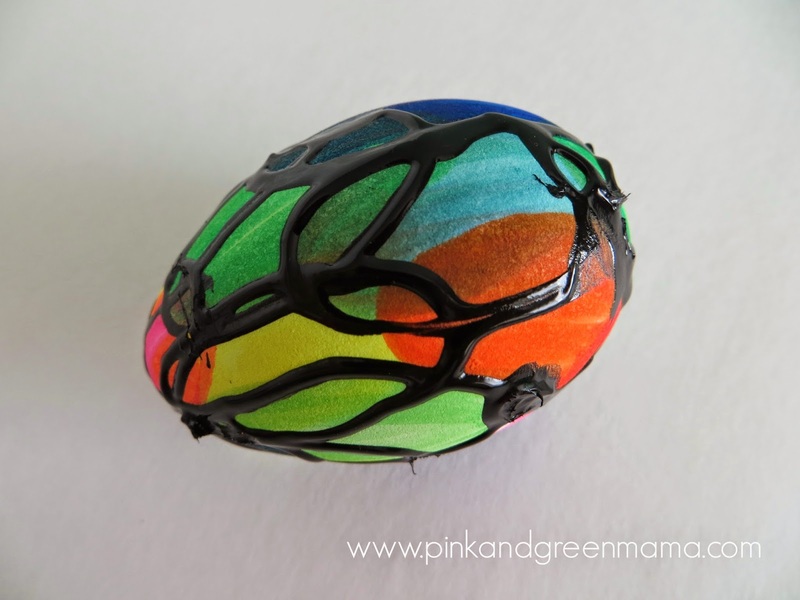 Then, we just drew free-hand designs onto each egg with the black dimensional fabric paint. You can follow the lines of your bottom layer design or make a new one. Then, we needed a place for the egg to dry so I grabbed a couple of plastic lids and a children's medicine cup from our recycling bin and put them to work as "egg holders." The dimensional paint takes a few hours to set up and it will be tacky to the touch afterwards. We painted one side or half of the egg at a time then let it dry then, we came back to flip it over and finish the other half. By using fake eggs for this project, we can enjoy our Easter Eggs for years to come! We're planning to make many more.